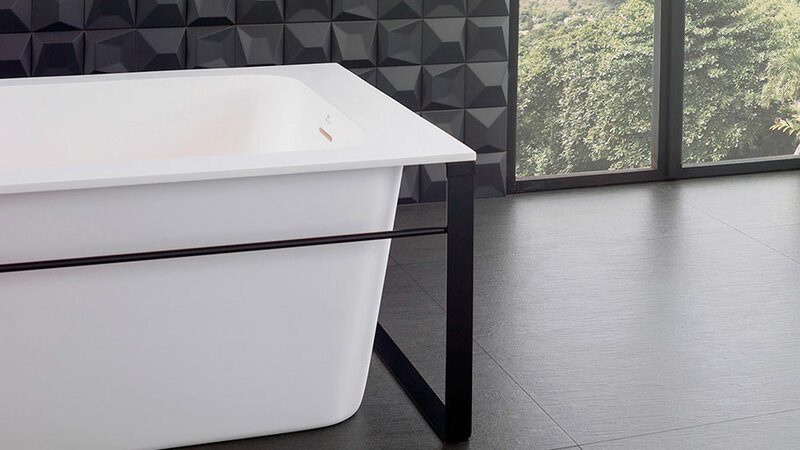 The sophistication of black and pure white is intertwined by PORCELANOSA Grupo, in order to create both a unique and elegant bathroom space. Through the firms that make up PORCELANOSA Grupo, an integral and highly-exclusive bathroom design is offered, highlighted by this excellent black&white pairing, along with both texture and visual combinations. Thus, the combinations in black, graphite grey and wood turn out to be the ideal choice for those bathrooms which bank on a sober, elegant and modern-day interior design. Without compromising the warmth and functionality of the highly-resistant ceramic materials and an easy maintenance. 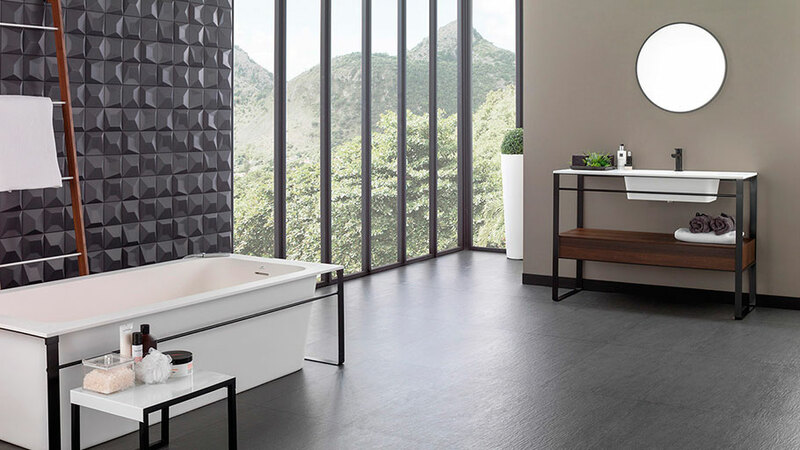 By being inspired by the current trends, PORCELANOSA Grupo has created a bathroom concept based on dark colours, linear geometrical shapes and surprising textures which are blended together in order to create a perfect space. 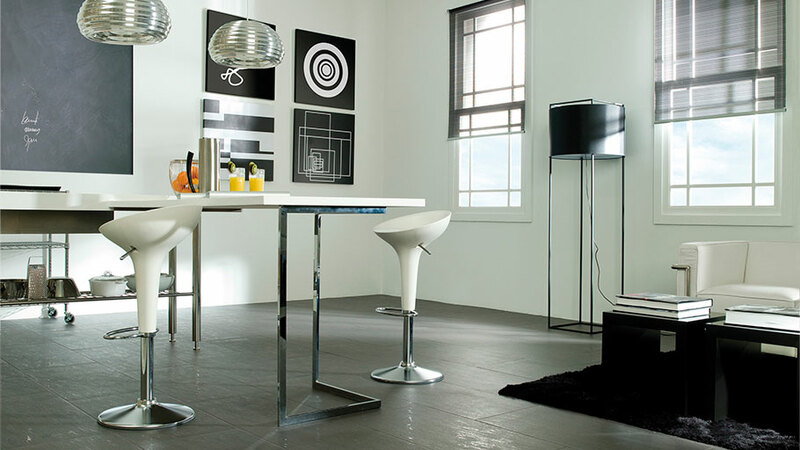 They are materials which captivate, and at the same time, remain perfect in a constant coexistence with water. An ideal bathroom, the same as the one presented by PORCELANOSA Grupo, must count on a graphically rich and high-performance flooring. 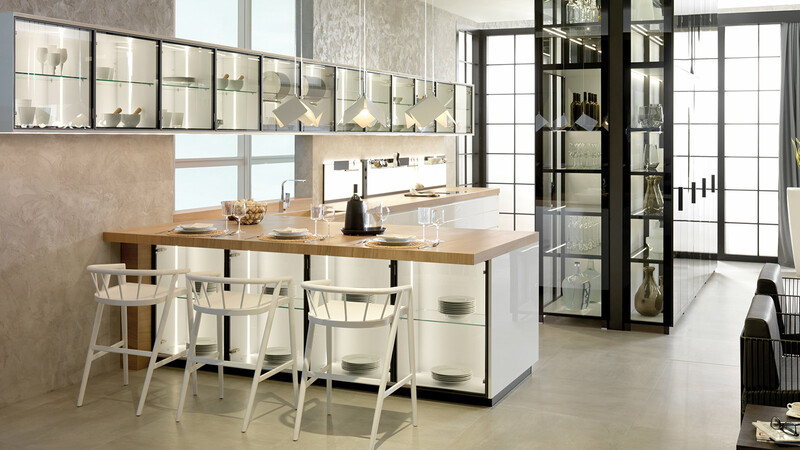 An ideal choice turns out to be Max, in other words, the full through-body porcelain by Urbatek. It represents both the strength and authenticity of slate with a relief taken from nature itself, such as the Nature finish. 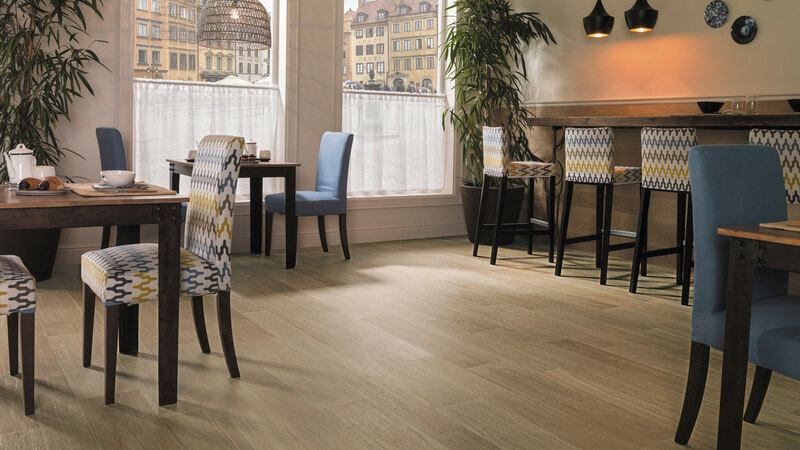 Likewise, this non-enamelled porcelain piece offers a strong safety guarantee, thanks to its high anti-slip properties. Furthermore, it is highly resistant to both humidity and water contact. 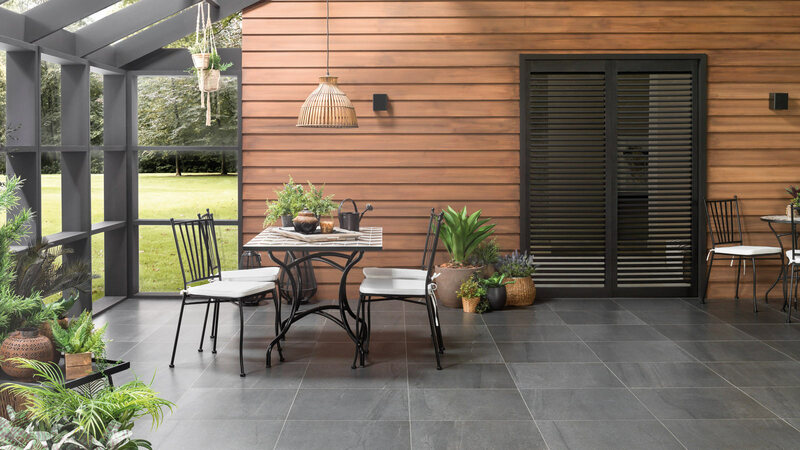 As well as that, the Faces S4 wall tiles by L’Antic Colonial have the same adaptability as the Max through-body porcelain in these type of spaces. Ceramic designs by Ramón Esteve for Premium Collection whose lively geometrical 3D design combines tremendously well with the state-of-the-art KRION® Solid Surface mineral compact, which is presented by means of the outstanding Modul bathtub and bathroom furniture, both of them from the firm, Systempool. A bathroom set that not only aims at surprising and captivating, but fulfilling as well.